Bev is a book coach working with busy professionals wanting to publish a career-changing book, who know they need information, assistance and accountability to make it happen. 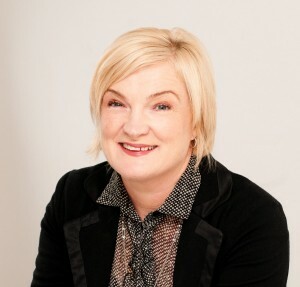 Bev ryan is the Founder of the Women’s Publishing Network and the only Australian Book Midwife® Licenced Practitioner working with successful international book coach Mindy Gibbins-Klein’s proven book coaching system. As a speaker you are fully aware of the value of publishing your own business book. It remains a proven and powerful strategy for extending your sphere of influence, becoming more recognized in your field, and attracting exciting speaking opportunities. It’s also a superb way to become more knowledgeable – a self-funded and self-directed path of higher learning. Like a degree, in my opinion, though I am cautious stating this amidst academics. 1. Business Tool: Business owners such as Peter Rowe of ProfiTune (Solving the People Puzzle) and Robyn Pulman (Habits Aren’t Just for Nuns) have published their books as business development tools, and have seen positive results in various forms, such as increased client numbers, higher paying clients, invitations to speak, and opportunities for alliances. 2. Profit Centre: Others, like MaryAnne Leighton, (Equine Emergency Rescue) an equine rescue expert, and Anke Bialas, with a life-long interest in the value of herbs, (Homemade Health) have written books around their personal passions and expertise, and now have successful profit centres sitting around them. 1. Write about a topic you wish others to see you as an expert in. Write about a topic you want to be an expert in, especially if you don’t really feel like one yet. Researching and writing will truly educate you. You will be an expert when you are finished, if you do it well. 2. Think small and narrow for your first book. The easy-to-read 90-page book ‘Why do you Frown, Daddy?’ by Chris Whitecross establishes him as a consultant, and coach for stressed managers, assisting them to deal with unacceptable behaviour in the workplace. 3. Look for opportunities – tune in to others’ complaints, frustrations and questions. 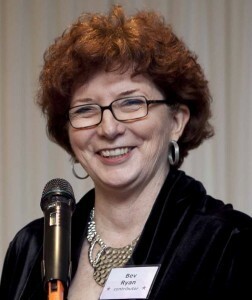 MaryAnne (above) was upset by the many instances where inexperienced people attempted difficult horse rescues, harming the animals in the process, so she wrote the book helping to prevent the problem. 4. Take note of the book categories and book topics in book stores and libraries that you are naturally drawn to. If you have not been there recently, take time out to relax, visit and tune in to your own responses. 5. Think about what people come to you for. Your crazy brilliant ideas; your connections; your supportive reassurance; your resources; your clear instructions? There are clues there. 6. Write the book you would buy for yourself or your client/partner/kids/best friend/parent if you saw it on the shelf. What issues are people close to you dealing with? Do many others have the same problem at some stage in their life? 7. Look for creative and unusual ways to combine interests and demographics: functional graphic design for business owners; vegetable gardening for dementia sufferers; finance for teenagers; footwear for cats … well, maybe not that one, but you get the drift. 8. Publish solutions not prevention. Most of humanity seeks the fix after the (mini) catastrophe – and we will pay for it. That’s just what we do. We want to know how to lose weight, how to find new clients, how to get a better job, how to leave a lover after things go pear-shaped. 9. Here’s an obvious one: write for people who read/gather/value books. Not much point to do otherwise. If you are gifting your book, make sure it impresses the right people. If you are selling your book, research Amazon for data on books which sell. Who buys print books? Who buys e-books? A fantastic article , Bev, with lots of useful tips and information. Bev is launching her next book coaching group webinar series on Wed evening, 27 February. She also works with individuals and organisations. Click here for details on her website.